Joined Advantage Partners in January 2002. 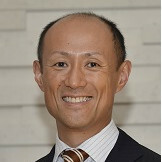 Katsuya Baba is responsible for Advantage Partners’ investor relations, ESG, and middle/back office administration functions and is a member of AP’s investment committee. Investment responsibilities to date include Polygon Pictures Inc., Nihonkaisui Co., Ltd., and Xacti Corporation. After graduating from university, he joined Bain & Company Japan Inc. and was engaged in various strategic and operational projects for clients across broad industry sectors (financial services, software, auto, electronics, and others). He subsequently transitioned into venture investment and incubation activities for e-commerce and software-related start-ups before joining Advantage Partners. Bachelor of Arts and Sciences, Asian Studies, University of Tokyo; Master of Business Administration (MBA), Harvard Business School. Speaker bio is coming soon. Adam Black has worked in private equity for 10 years and been involved in ESG for 25 years. He has worked in the oil and gas industry, in consultancy and at a buy-out firm as an ESG Operating Partner. He joined Coller Capital in 2016 and is responsible for embedding ESG into the investment management process. During his career he has been involved in a wide range of ESG related crisis situations including during his time in private equity. Mr. Black has a background in occupational health and safety, environmental science and law. Natasha Buckley joined the PRI in 2011. She is responsiblefor the PRI's work in private equity, through which the PRI acts as a globalplatform to understand and share good practice, develop reporting practices andestablish LP-GP alignment on expectations around responsible investment. Before joining the responsible investment industry, Ms.Buckley held roles at UBS, the NHS and Simmons & Simmons (Paris). 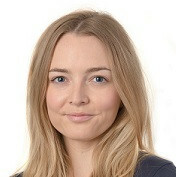 Ms.Buckley has an MSc in International Relations from the London School ofEconomics, a BA in History from University College London and has completed theOxford Private Equity Programme at the Saïd Business School, University ofOxford. Shannon has over 18 years’ experience in financial industry. 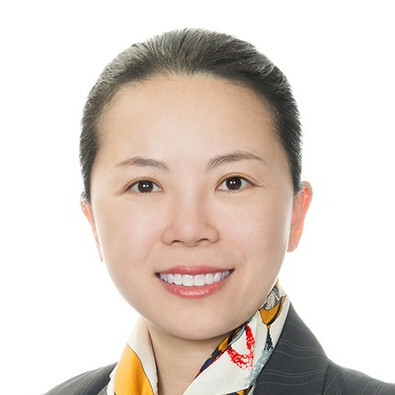 She is currently a Principal in Hamilton Lane’s Relationship Management Department, based in the firm’s Hong Kong office, where she is responsible for all aspects of client relations in the Asia ex-Japan & Korea region. In this capacity, she works closely with institutional clients such as sovereign wealth funds, insurance company and public pensions and the investment team in portfolio construction and development. Prior to joining Hamilton Lane, Shannon was a Vice President, Sales in BMO Global Asset Management where she was responsible for the distribution of investment products including ETFs and private equity funds. Previously, she was a Vice President, Lead Relationship Manager in Northern Trust for institutional clients including central bank, pension funds and university endowment funds. Shannon also worked in HSBC and Invesco Asset Management where she was a Business Development Manager for alternative funds services and Relationship Manager for institutional pension clients respectively in the Asia Pacific region. Shannon received a Bachelor degree from The University of Hong Kong. She also obtained a qualification of Certified Financial Planner and is a member of the Institute of Financial Planners of Hong Kong. 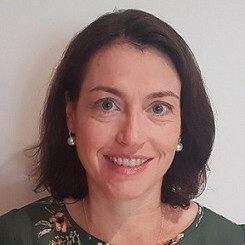 Anne Copeland is an independent Sustainability Advisor with over 30 years of experience in environmental and social due diligence, sustainability risk management, sustainability strategy development, management and reporting, as well as stakeholder engagement and training. She has been active in the sustainability field in Hong Kong and Asia for over 20 years, where she has honed her expertise in assisting companies and the financial sector to identify and manage environmental and social risks and embed sustainability issues into operations and reporting. Her clients range from multinationals to private equity firms and sector experience ranges from supply chain management, infrastructure, transportation, manufacturing and agribusiness, to hospitality, health care and education. 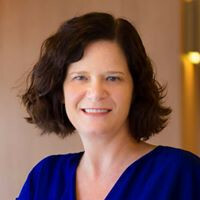 Ms. Copeland was formerly the Environment and Social Specialist for Asia Pacific with the International Finance Corporation and previously worked for consultancy firms BMT, HKPC and ERM in Hong Kong, and the LURA Group in Canada. Ms. Copeland was a founding member of the HKSAR Council for Sustainable Development (SD)’s Strategy Sub-committee, the Global Reporting Initiative (GRI)’s Stakeholder Council, the HK Business Coalition on the Environment, and led Cancham’s SD Committee for its first 7 years and remains an Advisor to the Committee. Ms. Copeland is a member of Moxie Future’s Advisory Committee, the first insights community that empowers women investors to grow their wealth through responsible and impact investing – while investing in companies that positively contribute to a sustainable future. She was a Mentor on The Women’s Foundation (TWF)’s Mentoring Programme and is a member of its Advisory Council, Cancham’s Women’s Network and the Association of Certified and Chartered Accountant’s Global Sustainability Forum. She has led courses at The University of Hong Kong and earned a MA in Political Science and Environmental Studies from the University of Toronto and a BA (Honours) in Political Science from McGill University. 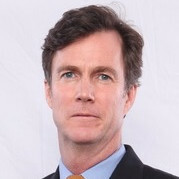 Doug Coulter joined LGT Capital Partners in early 2007 to lead its Asia Pacific private equity investment activities. 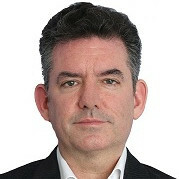 Prior to LGT, Doug was a Senior Investment Officer for the International Finance Corporation (the direct investment arm of the World Bank), based in Hong Kong and responsible for sourcing, structuring, monitoring and exiting Asian investments in the TMT, retail & consumer and life sciences sectors. Mr. Coulter has over 15 years of experience in private equity and investment banking. He previously worked at Nomura Securities in Hong Kong and as a lawyer at Fasken Martineau DuMoulin LLP in Toronto, Canada. He holds an MBA from INSEAD in France, a M.Sc. from the London School of Economics, a law degree from the University of Western Ontario and a B.A. from Queen's University in Canada. LGT Capital Partners is a leading alternative investment specialist with USD 50 billion in assets under management and more than 400 institutional clients in 33 countries. An international team of over 300 professionals is responsible for managing a wide range of investment programs focusing on private markets, liquid alternatives, and specialized long-only and multi-asset class solutions. Headquartered in Pfaeffikon (SZ), Switzerland, the firm has offices in New York, Dublin, London, Vaduz, Dubai, Beijing, Hong Kong, Tokyo and Sydney. LGT Capital Partners has recently been selected as the winner of a number of prestigious international private equity awards and was also selected as best private equity Fund of Funds in Asia by AsianInvestor in 2010, 2011, 2012 and 2014 and the Asset in 2013, 2014 and 2015. 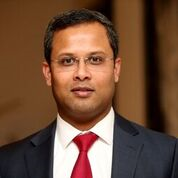 Jaideep Das is a Partner in ERM and the Account Director for services to Private Markets clients. Jaideep also acts as the global lead for Environmental, Social and Governance (ESG) advisory services and his work has included supporting Fund Managers apply market-leading approaches to integrate ESG factors in their strategy, investment and ownership processes. Jaideep has worked extensively for Private Markets clients including Permira, Bain Capital, Bridgepoint, Carlyle, EQT, Partners Group, KKR, MidEuropa, Advent, IFM and Inflexion and Limited Partners (LPs) such as PGGM and APG. Jaideep was retained by InvestEurope from 2012-2015 to co-develop and deliver their Integrating ESG training course to 60+ Fund Managers and LPs. Jaideep was an author of the PRI-ERM guidance on ESG Monitoring, Reporting and Dialogue in Private Equity published in 2018. Jaideep is an environmental engineer by background and has a Masters in environmental economics and sustainability management from Strathclyde Business School. Richard Goldman oversees market development for Refinitiv’ buy side business in North Asia. Prior to this, he ran Thomson Reuters’ global quantitative consulting and support division. Mr. Goldman’s domain expertise in systematic and discretionary investment management was attained over a 25-year career as a Portfolio Manager and COO overseeing multibillion-dollar funds. 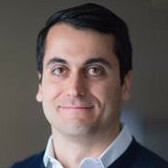 His career highlights include launching and managing a $200 million hedge fund seeding business at Tykhe Capital; Chief Operating Officer at Castlerock Management; Head of Common Equities and Senior Portfolio Manager at Guardian Life Insurance; and Senior Portfolio Manager at Citigroup Asset Management. 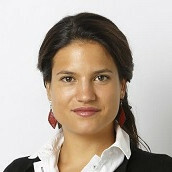 Cornelia Gomez is Head of ESG and Sustainability at PAI Partners. With her team, Ms. Gomez acts as a Compliance and Sustainability expert and key intermediary between Investors, Deal Teams and portfolio companies to enable transformation and value creation for the portfolio. Ms. Gomez has 6 years of experience in CSR, Ethical Compliance and Supply Chain Risk Management in corporate and certification environments in Europe and Asia. In particular, she was Social Compliance Manager of Casino Group, leading the implementation of the Social Compliance strategy worldwide and building an integrated approach with Quality and Purchase departments. Jie Gong is a Partner at Pantheon, and a member of the firm’s Asia Regional Investment Committee and the Global Co-investment Committee. 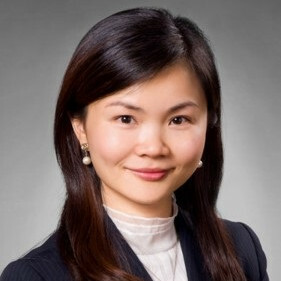 Jie joined Pantheon from Morgan Stanley Alternative Investment Partners' private equity fund of funds group, where she led Asian investment activity and was a member of the Global Investment Committee. Before that she was a Vice President at JPMorgan responsible for leverage finance deal origination, structuring and execution in Greater China. Previously she worked at the International Finance Corporation on emerging market debt and equity investments. Jie received a Masters in Finance from London Business School, an MA in Economics from University of Miami and a BA in Economics and International Trade from Shanghai International Studies University. Jie is Vice Chairman of the Hong Kong Venture Capital and Private Equity Association (HKVCA) and serves on its board. She founded and chairs HKVCA’s ESG committee, and co-chairs its LP committee. She is also a committee member of United Nation Principle of Responsible Investment Private Equity Advisory Committee (UNPRI PEAC). 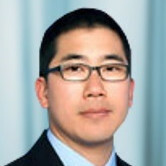 Vincent Hsu is a member of the private equity team, focusing on investments in Asia, secondaries, and co-investments. Prior to StepStone, Mr. Hsu was an investment manager at Bertelsmann Asia Investments, a venture capital firm based in Beijing, where he focused on early to growth stage TMT investments in the China market. Before that Mr. Hsu was an associate vice president in the strategy and development team at STAR Group, the Asia subsidiary of News Corporation. Before that Mr. Hsu spent several years at Morgan Stanley Asia in the Investment Banking division. Mr. Hsu graduated with a BS and BA from the University of California, Berkeley. David Katz is Director of Public Affairs for Kohlberg Kravis Roberts (KKR) Asia Ltd. based in Singapore. In this role Mr. Katz leads the corporate communications, government relations, corporate citizenship and environmental, social and governance functions for KKR across all markets in the Asia Pacific. Mr. Katz also sits on KKR’s Asia Pacific leadership team. Previously he was the Deputy Head of Global Government Relations and Head of Asia Pacific Government Relations for PayPal Inc. and sat on PayPal’s Asia Pacific leadership team. Prior to PayPal Inc., he worked at eBay Inc., where he managed Asia Pacific GR for both eBay Marketplace and PayPal - then owned by eBay Inc. Before joining eBay, Mr. Katz worked at Visa Inc. where he served as their first head of GR for the Asia region. Mr. Katz was also Chief of Party of a USAID program in the Asia Pacific Economic Cooperation (APEC) Secretariat in Singapore, where he advanced policy and capacity building. Mr. Katz served in the Executive Office of the President for eight years as a Senior Director at the United States Trade Representative (USTR) with responsibility for Southeast Asia, APEC, and China trade policy. Prior to USTR, Mr. Katz was an economic officer in the U.S. diplomatic service, with tours in Taiwan, Mongolia, and Singapore, and he was a special assistant to U.S. Secretaries of State Madeleine Albright and Colin Powell. Mr. Katz earned an MBA from the University of Edinburgh and his BA from the University of California at Berkeley. Ralph Keitel is Principal Investment Officer and Regional Lead for PE funds in Asia-Pacific in the Private Equity and Investment Funds group of the International Finance Corporation (IFC), the private sector arm of the World Bank Group. Since joining IFC in early 2006, he has been responsible as Regional Lead for IFC’s private equity fund activities in Eastern Europe/Russia (2006-2008), Africa (2008-2011), Latin America (2011-2014) and East Asia (since 2014). Prior to joining IFC, Ralph was with Caisse de Dépot et Placement de Québec (CDP) in Montréal, where he managed a portfolio of VC funds in North America and Europe. Previously, he spent five years with Technologie-Beteiligungs-Gesellschaft mbH (“TBG”, now part of the KfW Group, Frankfurt), providing early-stage venture capital financing for technology start-up companies before assuming responsibility for TBG’s funds portfolio. Ralph holds a Bachelor’s degree in Business Administration and a Master’s degree in Economics from the University of Bonn (Germany) as well as a post-graduate degree in Finance and Management (Dean’s Honour List and recipient of the American Express Award for outstanding academic achievements) from McGill University in Montreal (Canada). During his 17 years in the funds industry, and working for 3 different institutional investors, Ralph has lead more than 30 investments in funds across all regions (both developed and emerging markets), stages and industries and sat on more than two dozen advisory boards. In addition, Ralph has been involved with both secondary- as well as numerous co-investment transactions. He also served as trustee on the World Bank Pension Fund’s board of trustees between 2013 and 2015 and currently serves as a board member of the SVCA (Singaporean Venture Capital Association). Decio Nascimento started his career in London at Goldman Sachs, working with European Securitized Derivatives. He then joined Hedging-Griffo and Fundo Verde, one of the best performing global macro funds in Brazil, later acquired by Credit Suisse. There, he was mentored and worked under the direct supervision of Luis Stuhlberger, considered ‘a legend’ in Brazil and ‘a hedge fund star’ according to the NY Times. In its 20 years existence, the Verde Fund has returned eight times above the benchmark. Mr. Nascimento was then recruited to work with the liquid asset portfolio of 3G Capital, the investment firm of the owners of InBev (Anheuser-Bush, SABMiller, etc. ), Burger King, and Heinz, among others. The 3G liquid portfolio was later spun- off into its own company, Point-Break Capital. Finally, early in 2016, Mr. Nascimento joined Peter Kellner, a successful entrepreneur, investor and founder of Richmond Global Venture Capital Fund, as Chief Investment Officer to start Richmond Global Compass Fund (RGCF). Together with Mr. Nascimento’s ten years of global macro hedge fund experience, RGCF’s strategy brings the distinctiveness of incorporating material ESG factors into its highly analytical process. 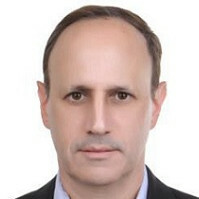 Mr. Nascimento holds an FSA Credential (SASB) in Sustainability Accounting and is an Economics graduate from the London School of Economics and FGV, Brazil. He is also part of the 2020 Class at Yale’s MBA in Sustainability for Executives. 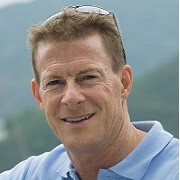 Michael Octoman is a Senior Partner and COO of Navis Capital Partners and an Investment Committee member. Navis was founded in 1998 to make private equity investments in buyouts, recapitalisations and financial restructurings in Asia, particularly on enterprises with a strong presence in Southeast Asia, Australia and China/Hong Kong. The firm manages several private and public equity funds totalling USD 5 billion. Navis acquires control of its portfolio companies, and since its founding in 1998, has made over eighty controlling investments. Navis when it invests has direct strategic involvement alongside an incentivized management teams, focused on growth, margin enhancement, organizational systems/structure/governance strengthening and cash management. Navis is committed to improving the ‘Environmental, Social and Governance’ (“ESG”) practices of its portfolio companies, and has proven ESG to be an important lever for value creation. Navis’ investment model places a low reliance on leverage to drive its equity returns. Mr. Octoman joined Navis in 2000. He originates transactions, oversees the Navis Portfolio activities and works with companies across Asia with a focus primarily on SE Asia. Mr. Octoman is directly involved with a number of companies including Alliance Cosmetic, B Medical Systems, HGPT and the BIG Group. Prior to joining Navis, Mr. Octoman worked with Price Waterhouse Coopers with a primary focus on capital market transactions and financial due diligence. Mr. Octoman also worked for KPMG in Australia and Canada in Business Advisory. Mr. Octoman is a lifetime resident of Asia, having been raised and educated in Australia. He holds a Bachelor of Arts degree in Accountancy from the University of South Australia and is an Australian qualified Chartered Accountant. The Founder and CEO of APAC Advisors, Steven Okun is a leader in the private equity industry on ESG, sustainability and stakeholder engagement in Asia Pacific, having lived and worked in the region since 2003. In September 2017, EMPEA appointed Mr. Okun as its ASEAN Representative, where he works with the members to increase private capital deployment and fundraising across Southeast Asia. In addition, he serves as a member of EMPEA’s global ESG and SDG Community. EMPEA is the global industry association for private capital in emerging markets. An independent, non-profit organization, the association’s membership comprises 300+ firms representing institutional investors, fund managers and industry advisors who together manage more than US$5 trillion in assets across 130 countries. As global investment firm KKR’s first Director of Asia Public Affairs from 2011-2017, his responsibilities encompassed government affairs, communications, stakeholder engagement, ESG and impact investing and supporting such efforts for its portfolio companies. His work on ESG initiatives spans due diligence through the investment phase. His expertise includes developing ESG policies, determining critical considerations for specific deals taking into consideration market, sector and level of investment, engaging directly in due diligence, and working with investment teams to document the findings of due diligence and develop reports for a fund’s investors. 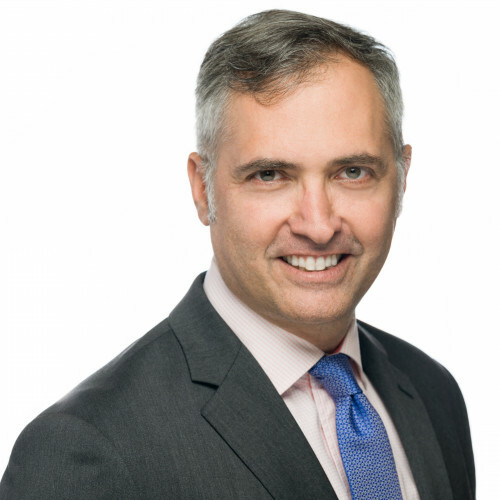 Previously, Mr. Okun led UPS Asia’s public affairs practice, and served in the Clinton Administration as Deputy General Counsel at the US Department of Transportation. 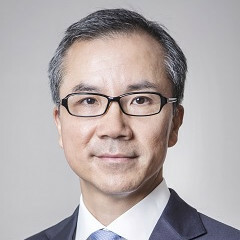 Often representing and advocating the views of the business community, Mr. Okun often guest hosts on CNBC and frequently appears on the BBC and Channel NewsAsia. Joel Posters is a director in the investment management team at the Future Fund, Australia's sovereign wealth fund. He is responsible for integrating ESG issues in the Fund’s investment framework across asset classes. Prior to this role, he was Head of Sustainability at Rabobank Leasing in the Netherlands and Regional Head of Sustainability at ABN AMRO Bank in Hong Kong. He has 20 years of experience in the areas of ESG and sustainability. He holds an MBA from INSEAD and a Master in International and Public Affairs from Columbia University. He is also a Graduate Member of the Australian Institute of Company Directors. 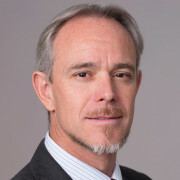 Morgan Slebos is the Head of Responsible Investment Programmes at the United Nations-supported Principles for Responsible Investment. He is responsible for developing the PRI’s work streams aimed at addressing barriers in policy, regulation and investment practices that currently prevent financial markets from functioning sustainably. Mr. Slebos has extensive policy and regulatory experience in the financial sector, including as policy manager for resource and environment issues at the Institute and Faculty of Actuaries and as a policy advisor at the Association of British Insurers. He started his career at the New Zealand Treasury, working in areas such as international economics and public finance. He holds an MA in Political Studies and a BCom in International Trade from the University of Auckland. 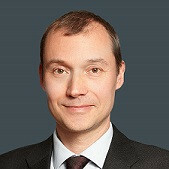 Anders Strömblad is since 2001 in charge of alternative investments at the Second Swedish National Pension Fund – AP2 (Total assets approx. 40 billion USD). The alternative investment portfolio includes investments in private equity, real estate, timber- and farmland, credit strategies and China A-share investments. The alternative portfolios NAV is today approximately 23% of the total AP2 portfolio and is expected to growth further. In alternative investments Mr. Strömblad, have designed the investments strategies and business plans and are responsible for portfolio implementation as well. 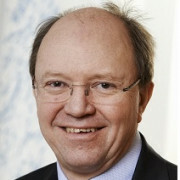 Since 2007 Mr. Strömblad is also responsible for all public assets that are managed externally. These assets are mainly global equities, global credits, emerging markets equities and debt and global tactical mandates. As well-known globally for well thought through strategies, successful implementation and portfolio management. Mr. Strömblad have been a very important “brick” in the building of the well-known AP2 brand. Before he become head of alternative investments in AP2 he had more than 10 years of senior management positions (in the management team) in the manufacturing/food industry. Mr. Strömblad started his career as an auditor of corporations at the Swedish Tax Office. Due to expertise and experience Mr. Strömblad is an advisory board member for several fund investments. As responsible for the alternative portfolio he is also a board member in a couple of portfolio companies. 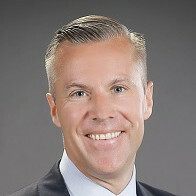 Mr. Strömblad is since many years active in the” global private capital industry”. He speaks and attend panels on conferences globally. He is also active in responsible investments strategies and are a member of the UN PRI Advisory Board for Private Equity. Mr. Strömblad was the first non-US / Canada board member of the ILPA board. He is still very active in ILPA as a board member and a member in their Public Affairs Committee. Mr. Strömblad holds a BSc in Business & Administration. Chang Sun is Managing Partner, China for TPG, a leading global alternative asset firm. A major figure in Asian private equity, Sun is also the chairman of Black Soil Group, Ltd., an impact investing firm he founded in 2015. Mr. Sun oversees TPG’s investment activities in China across TPG Capital Asia, TPG Growth and the Rise Fund. Mr. Sun has over 25 years of experience investing in China and is regarded as one of the pioneers of its private equity industry. Prior to founding Black Soil, Sun was Chairman, Asia Pacific, at Warburg Pincus, where he was responsible for starting the firm’s China business and building it into a leading private equity franchise. Throughout his career, Sun has been an integral part of China’s investment community. He founded two industry trade organizations – the China Venture Capital and Private Equity Association (CVCA) and the China Real Estate Developers and Investors’ Association (CREDIA) – where he currently serves as Honorary Chairman and Executive Vice Chairman, respectively. 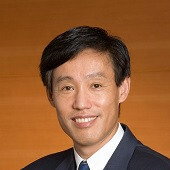 Chang Sun is a member of the Board of Governors at the Lauder Institute of the Wharton School and a member of the Asia Pacific Council of the Nature Conservancy. Mr. Sun received a B.A. from the Beijing Foreign Languages University, and a joint MA/ MBA from the Joseph Lauder Institute of International Management and the Wharton School of the University of Pennsylvania. Mr. Frank Tang is the Chairman and CEO of FountainVest Partners, a leading private equity firm dedicated to China with offices in Hong Kong, Shanghai and Beijing. Prior to founding FountainVest, Mr. Tang headed the China investments for Temasek Holdings. As a Senior Managing Director of Temasek Holdings, he was a member of the firmwide Senior Management Committee and Senior Investment & Divestment Committee. Mr. Tang was with Goldman Sachs for nearly 11 years. He started his investment banking career at Goldman Sachs in New York, and then moved to Hong Kong. Mr. Tang worked as an Executive Director in Principal Investment Area, the private equity arm of Goldman Sachs. He was later Managing Director and Head of the Telecom, Media and Technology investment banking in Asia ex-Japan for Goldman Sachs prior to joining Temasek. Mr. Tangwas born and raised in Shanghai, and holds an MBA from Columbia Business School in New York. He is a board governor of the China Venture Capital and Private Equity Association. Mr. Tang also sits on the board of Accenture (a global Fortune 500 company) and Weibo (the most popular social media in China). He is also a member of Columbia Business School’s Board of Overseers. 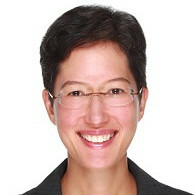 Sulian Tay joined Temasek in 2012 in Singapore. She is currently Managing Director in the Investment Group Office as well as a Managing Director in the Industrials, Business Services & Energy team. Prior to joining Temasek, Ms. Tay was with Goldman Sachs as a Managing Director in the Investment Banking Division where she spent time in the M&A department as well as Industrials & Natural Resources and worked in New York, Chicago, San Francisco, Hong Kong. Ms. Tay earned an MBA from the Stanford University Graduate School of Business. She also holds an MS in Applied Mathematics and a BA in Mathematics from Harvard University. Mark Watson is Head of Sustainable Development at John Swire & Sons (HK) Ltd. Dr. Watson is responsible for the global sustainable development portfolio of both the publicly-listed businesses across Swire Pacific and the family-owned companies of John Swire & Sons, including aviation, property, marine, beverages, trading and industrial and agribusiness. In overseeing the Swire Group’s sustainable strategy, SwireTHRIVE, his role focuses on addressing overall environmental impact reductions, identifying and leveraging best practices in the water, carbon, waste and energy sectors. It also involves driving improvements and tackling rapidly emerging sustainability issues and challenges, including climate change risk and resilience, biodiversity and materials usage, as well as understanding the social dimensions of sustainability including diversity and inclusion and human rights. Increasingly, Dr. Watson’s work highlights the increasing importance of ESG and green finance and understanding the role that capital markets and other external stakeholders such as regulators play in relation to corporate sustainable development performance. 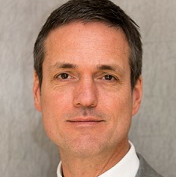 Before moving to his Group-wide role in 2015, Dr. Watson was Head of Environmental Affairs at Cathay Pacific, part of the Swire Group, for 7 years and has in-depth knowledge and expertise in aviation and aerospace, having held similar roles in Europe before moving to Asia. Dr. Watson has now worked in the sustainable development arena for over 20 years since obtaining his Doctorate from the University of London in 1995. Throughout his career, he has provided strategic and technical advice to international governments, aid agencies and multinationals on a wide range of environmental, economic and social issues on five continents in corporate, consultancy and government roles. Douglas Woodring is the Founder and Managing Director of Ocean Recovery Alliance, a non-profit organization which is focused on bringing together innovative solutions, technology, collaborations and policy to create positive improvements for the health of the ocean. Two of its global programs were launched at the Clinton Global Initiative, and he was recently awarded the 2018 Prince’s Prize for Innovative Philanthropy in Monaco. He is a UN Climate Hero, and Google Earth Hero for his efforts, and has been on the advisory board of the XPrize, and The Economist’s World Oceans Summit. Ocean Recovery Alliance is one of the first NGOs to have worked with both UNEP and the World Bank on plastic pollution issues, and is the founder of the Plasticity Forum which focuses on plastic innovation and solutions for circularity. Mr. Woodring has worked in Asia for over 25 years, including four years in the asset management industry, where at Merrill Lynch Asset Management Hong Kong in 1998, he proposed the company’s first global environmental technology fund. He has also been nominated three times as World Open Water Swimmer of the Year for his innovative contributions to the sport. Michael Woolley joined Eastspring Investments, the Asian asset management business of Prudential plc, as Client Portfolio Manager for the Equity team, in August 2007. Mr. Woolley is embedded within the Japan equity focus team and is responsible for articulating the philosophy, process, positioning and performance of our various equity strategies. Mr. Woolley is also the Chair of Eastspring Investments Responsible Investment Working Group, which assumes responsibility for the implementation of Eastspring Investments Responsible Investment Framework and facilitates the exchange of information and learning on Responsible Investment across the business. He played a key role in the development of Eastspring’s responsible investment strategy, which led to the firm becoming a PRI signatory in February 2018. 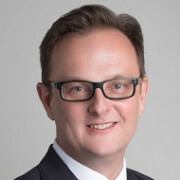 Prior to joining Eastspring Investments, Mr. Woolley worked at Schroder Investment Management (Singapore) Limited and held roles in institutional relationship management and product management in Asian equities. Prior to that, he worked at ING Australia as Account Manager, Corporate Superannuation. Mr. Woolley has over 20 years of financial industry experience. Mr. Woolley holds a Bachelor Degree in Social Science (Econ) from the University of New South Wales and a Graduate Diploma in Applied Finance and Investment from Financial Services Institute of Australasia. As a noted environmentalist and entrepreneur, Mr. Yeung has spoken at the World Economic Forum, Milken Institute Summit, TEDx, as well as financial and academic institutions such as Credit Suisse, UBS and UCLA. International media coverage of Green Monday and Mr. Yeung includes CNN, CNBC, Bloomberg and Forbes. 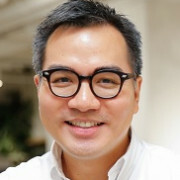 Mr. Yeung is a graduate of Columbia University and a director of Search Inside Yourself Leadership Institute, Hong Kong AIDS Foundation and Hong Kong Buddhist Association. He is also the author of a number of best-selling books on Zen wisdom and mindfulness.